And, that's why Meyer wrote her book, The Culture Map. 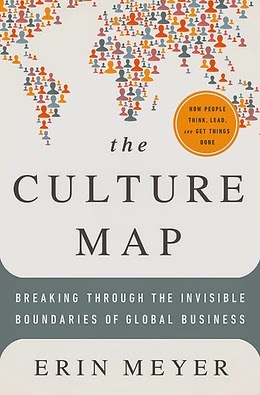 "The sad truth is that the vast majority of managers who conduct business internationally have little understanding about how culture is impacting their work," explains Meyer. "So whether we are aware of it or not, subtle differences in communication patterns and the complex variations in what is considered good business or common sense from one country to another have a tremendous impact on how we understand one another, and ultimately on how we get the job done." For example, when employees around the world are asked by Meyer to respond to the statement, "It is important for a manager to have at hand precise answers to most of the questions that subordinates may raise about their work," far fewer employees in Sweden, the Netherlands and the UK believe this to be true...versus employees in Spain, Italy and Portugal who more readily agree with this statement. The Culture Map is filled with engaging, real-life stories and anecdotes from around the world. It's based on years of extensive research by Meyer, who is a professor at INSEAD and the program director for INSEAD's Managing Global Virtual Teams program.